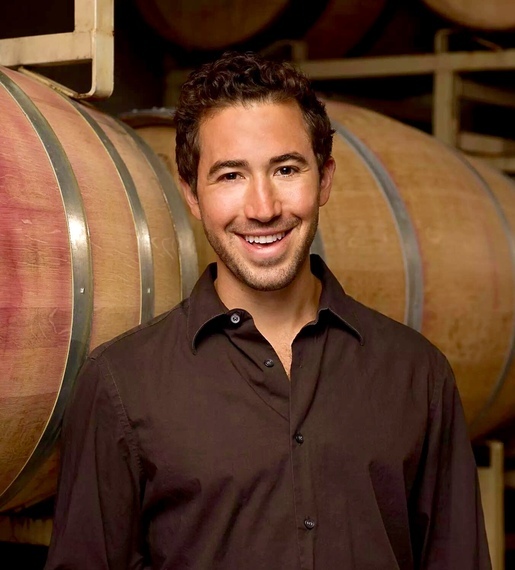 As the head winemaker for Lancaster Estate, Jesse Katz grew the Roth brand over 800% and the Lancaster and Roth wines received the highest ratings in their history. Jesse now focuses on his flagship brand, Devil Proof, a single vineyard, dry farmed 100% Malbec from Alexander Valley which was recently described by Robert Parker as the finest Malbec ever made in California and was named Cult wine of the year by The Tasting Panel. Jesse also crafts the wines for his brand Aperture, a collaborative project with his father and famous photographer Andy Katz that concentrates on high quality, small production wines from meticulously curated vineyards in Alexander Valley. Jesse was the first winemaker to make Forbes Magazine's 30 under 30 "Rising Stars" list and has been recognized in Wine Enthusiast as "a "40 under 40, America's Tastemakers". He has a degree in Enology and minor in chemistry from Fresno State. Jesse: To me, a successful entrepreneurship is someone who has been able to re-imagine, re-define, or create something that has not been done in a certain industry or practice that creates value that was not there before. Jesse: I've been blessed to work and train in some of the world's best wineries and appellations, from Screaming Eagle in Napa Valley to Petrus in Pomerol. This has allowed me focus my passion and skill on fine winemaking -- winemaking that is dedicated to reflecting the land, vineyards and climates that grow the fruit, while keeping the winemaking very natural. I really would not "do anything over." For all the mistakes I have made I my life I have always learned a lot from them. This is what has shaped me as a person and a professional. Jesse: When I wanted to branch out and start my first own label many people were surprised when I chose a magical single vineyard, dry-farmed (zero irrigation), high end Malbec. I was told by countless people that I should make a varietal that is more well known in California like Cabernet Sauvignon for a high end project. It was thought if you were going to go after the high end market it had to be from a grape that people were used to, and I was told that no one will " understand" a Malbec like this from California. After we launched the label, we received the highest rated 100% Malbec from Robert Parker and Wine Spectator in the history of California, all from this small lot of my first vintage of Devil Proof Malbec from Farrow Ranch. Given my time working in South America, I always wanted to make a great Malbec back at home in California. I was thrilled with our first vintage, but Parker's comments made my day: "This may be the finest Malbec I have ever tasted from California... There is gorgeous fruit in this Malbec, which could easily rival the best from high elevation vineyards in Argentina." Our first release sold out in less then two weeks and we were named "cult wine of the year" and my waiting list for the next vintage doubled. Jesse: I am working to make the wine industry's winemaking and vineyard practices more sustainable. From reducing the carbon footprint and using water more responsibly in the winery, to emerging and age-old (dry farming) vineyards practices, I am striving to raise the bar when it comes to environmental responsibility in the California wine industry. Jesse: Trust yourself. Things don't have to be done the same, but listen to those who have done it before you. Follow Jesse Katz at @jkatzwine, check out the other interviews in Going Against the Flow series at http://www.huffingtonpost.com/charu-sharma/ and join this movement to empower 1 million female entrepreneurs on goagainsttheflow.com.